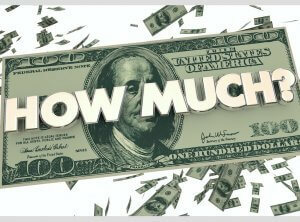 We receive a lot of phone calls and E-mails from people asking How much does a new AC unit cost? In this article we discuss how much it costs to install a new central air conditioner in the Phoenix, AZ area. Keep in mind, prices vary by region and area. You may see higher or lower costs in your area. Note: This article and pricing was updated in 2019 to reflect manufacturer price increases. I’ve been working in the HVAC industry for over three decades and in two states. I founded Magic Touch Mechanical, Mesa, AZ twenty-two years ago in 1997. In that time, I’ve had the pleasure of visiting with many of the best HVAC contractors all over the country. What I’ve found is; typically, the cost of replacing an air conditioner, or an entire central heating and cooling system may vary by about $1,000 to $2,000 in different parts of the country. If you found this article because you searched the term; “how much does a new air conditioner cost”, you want to get right to it. You also probably won’t like my immediate answer (but you need to read the whole article to understand why). Not only are there different brands of A/C’s and furnaces, there are different types (gas heat, geothermal, heat pumps, electric resistance heat, water -source, etc.). On top of that there are different applications, regional standards, efficiencies, and designs. All of these factors play a role in that “ballpark range”. This ballpark range does not account for manufacturer rebates, utility rebates, or contractor promotions. The new air conditioner prices below are for “ducted” central air conditioning and heating systems. Ductless mini split air conditioners & heat pump pricing can be found in this article. How Much Does a Split A/C & Heating System Cost Installed? The average cost of a new split-system cooling & heating system is around $6,500 – $8,000. See below for a breakdown. The most common type of central air conditioning system is called a “split system”. This type of system contains two or three main components with one component, the condenser, located outside, and the other component(s), the air handler, or evap. coil & furnace, inside. Before government regulations required higher efficiency air conditioners (SEER – Seasonal Energy Efficiency Rating), it was common to only replace the air conditioning portion of a split system. I.E., just the condenser or outdoor unit. This would typically cost only a few thousand dollars (at the time). With the new minimum air conditioner SEER rating of 14 SEER however, both the indoor and outdoor components need to be replaced in order to meet the standard. The indoor components typically require a lot of additional labor to replace than the condenser by itself. This is one of the factors that has driven replacement costs up significantly in the last 10 years. Where they are located, i.e. attic, closet, or garage makes a difference too. Expect to pay approximately $500 more for an air handler or furnace replacement in an attic than one located in a garage or closet. Attic furnace installation is very common in the Phoenix, AZ area, not so much further East. Typically: Single-stage compressors, multi-speed PSC motors, and basic consumer-grade features. Usually: Single-stage compressors, ECM or variable speed motors, and upgraded features. Most often: Two-stage compressors (sometimes variable speed), variable speed motors, and premium features. Almost Always: Variable-speed inverter driven compressors, variable speed motors inside and outside, and the most premium features available on the market. *Depending on brand, tonnage (BTU Capacity), features, and minor component changes needed to accommodate the new system. The level of difficulty also plays a role in the installation price of your new AC & Heating system. Obviously, your contractors labor costs will be lower for homes with easy access than say a home with 14’ ceilings and a tight scuttle (attic access) opening. Keep in mind there’s a lot more to a complete air conditioning “system” than just the equipment itself. Refrigerant lines, plenums, condensate drain systems, controls, thermostats, zoning dampers, etc. will all play a role in the total cost of a new HVAC system as well. Note how I didn’t say, “play a role in the price of a new AC unit.” There’s a lot more than just the AC unit in a complete air conditioning and heating system! I’ve seen complete new system quotes in some regions higher even than $16,000. That said, sometimes asking “how much does a new AC unit cost”, is the equivalent of asking “how much does a new car cost” – your answer is going to be very different depending on if we’re talking about a Ford Focus or a Bugatti Chiron right? Same applies to air conditioners and heating systems. How Much Does a Rooftop Packaged Air Conditioner Cost? The average cost of a new packaged unit is around $6,500 – $7,500. There are two main types of rooftop air conditioners; packaged or package units. Installing rooftop units was very common practice for builders in the Phoenix area from the 1970’s through the late 1990’s. The trend in newer homes seems to be going back to installing split air conditioners. The price range tends to be lower than split systems for two reasons. First, the highest efficiency package heat pump (or gas pack) is 16 SEER, so there are fewer options. Second, there are many less labor hours and access issues associated with rooftop units. Usually: Single-stage compressors, ECM or variable speed motors , and upgraded features. Most often: Two-stage compressors**, variable speed motors, and premium features. **At the time of publication there are no manufacturers producing packaged systems with variable speed motors in the USA. However, I anticipate we will see some within the next few years. Living in Phoenix, AZ, without air conditioning is not an option, but did you know there is another option to cooling and heating your home other than a conventional central air conditioning & heating system? Ductless air conditioners and heat pumps (also known as ductless mini-split units) are the fastest growing segment of HVAC equipment sales in North America, and have been for several years now. You can read about the price to install a ductless air conditioner or heat pump mini split in this post. If you live outside of the Phoenix are, we recommend you read about how to choose the right air conditioning company and check out some of our air conditioner side-by-side product comparisons. We use open-book pricing so you can see exactly how much all of our new central air conditioners and heating systems cost including tax and installation. We follow the mantra of “Offering options, not ultimatums”, and as a result proudly represent: Trane, Lennox, Bosch, Day & Night, Amana (Franklin) Mitsubishi, and other brands.